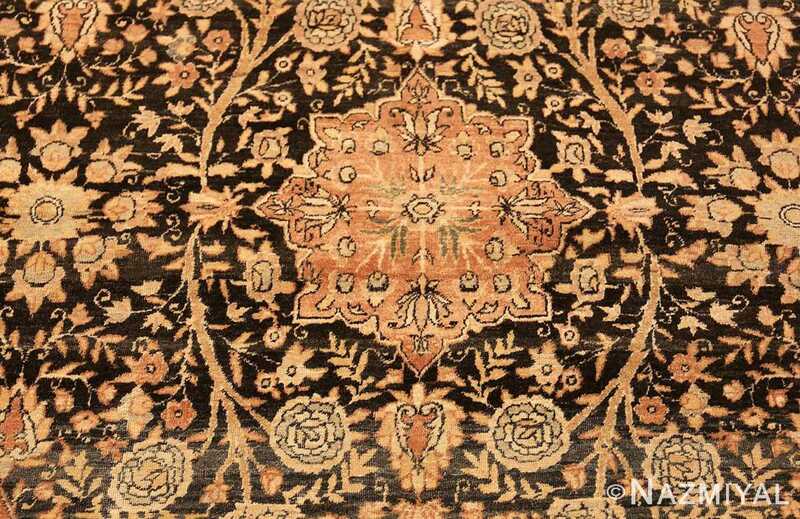 Beautiful Charcoal Colored Background Floral Antique Persian Kerman Rug, Country of Origin / Rug Type: Persian Rugs, Circa Date: 1900 – A pattern of sunset-hued stars surrounded by white roses on a stark black field spreads over this antique Persian Kerman rug. Each ornament is radially symmetrical, with a small circular decoration in the center and branching stems leading away to the edge of the shape. 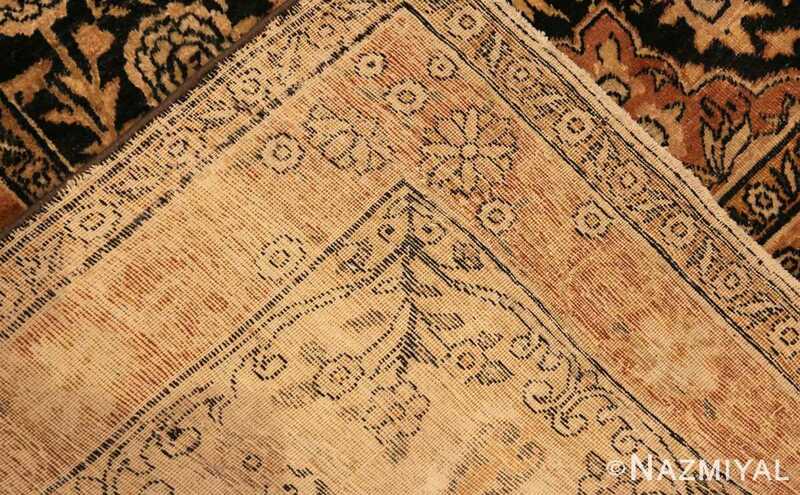 The petals tilt and splay outward, and green tendrils between each provide a botanical accent. The dark space surrounding these staggered but regularly spaced figures is embellished with pale roses and other bright floral touches, curling around the orange stars with thick vines and scant, curling shoots. 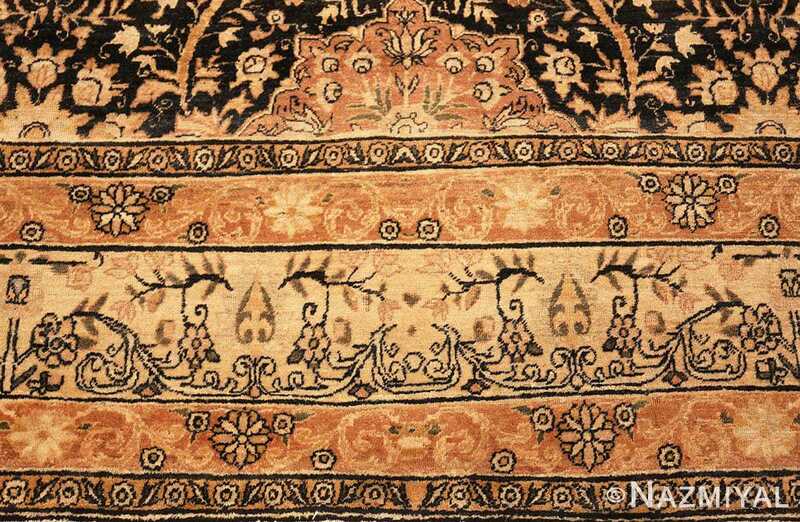 Like the gilt cover of an antique grimoire, a series of silver and gold borders encloses the dark space, adding a lighter balance to the antique Persian rug. 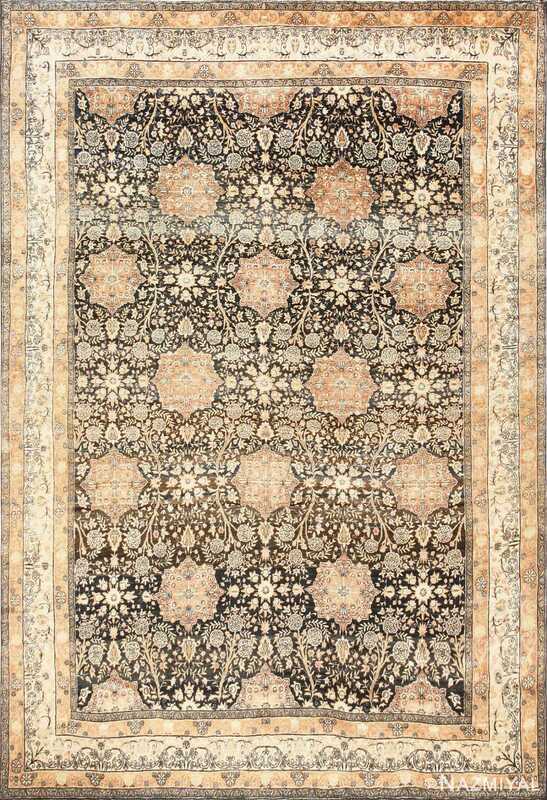 Black and white stitches form looping vines through the silvery band, sprinkled with diminutive title=”antique rugs” blossoms. 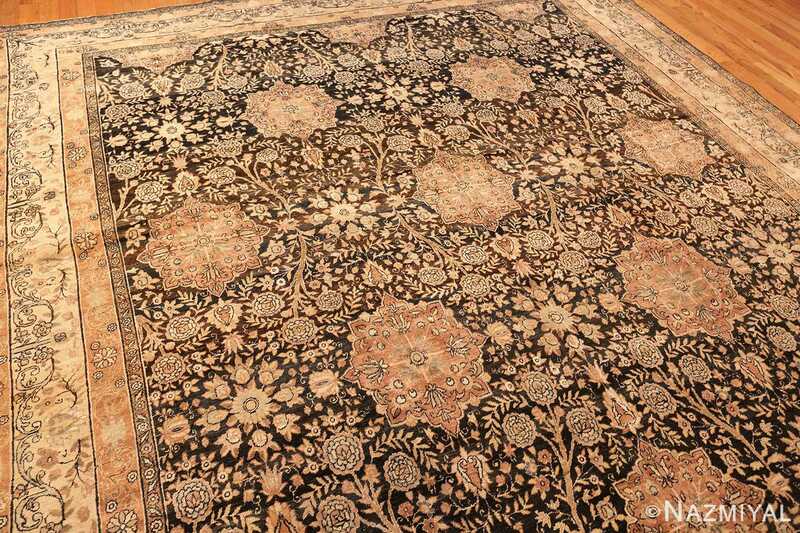 The antique rug’s golden borders flanking this alternate pure white flowers with black-edged daisies. 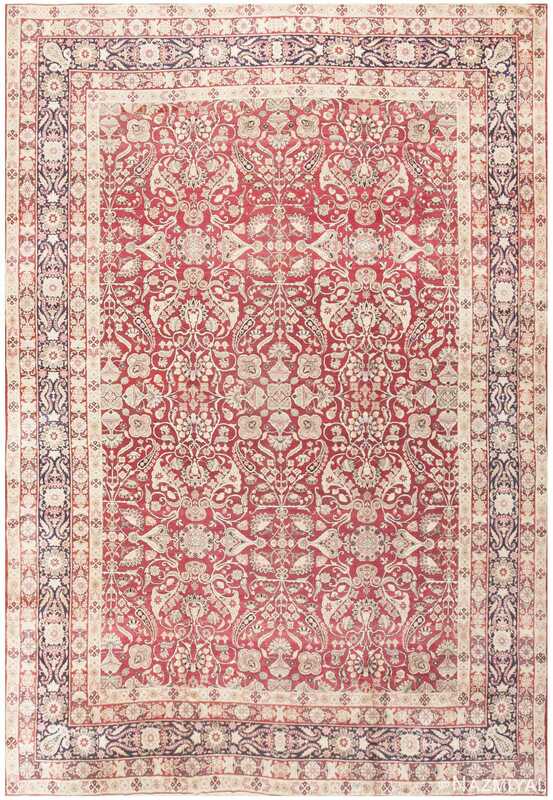 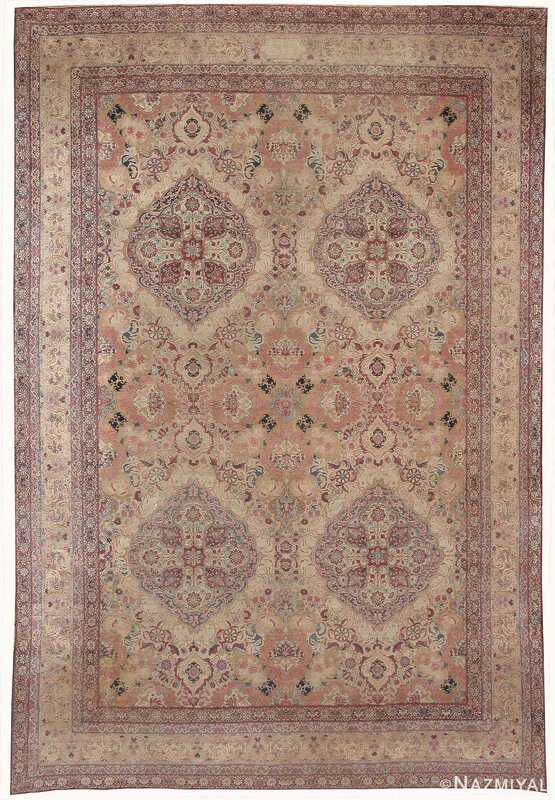 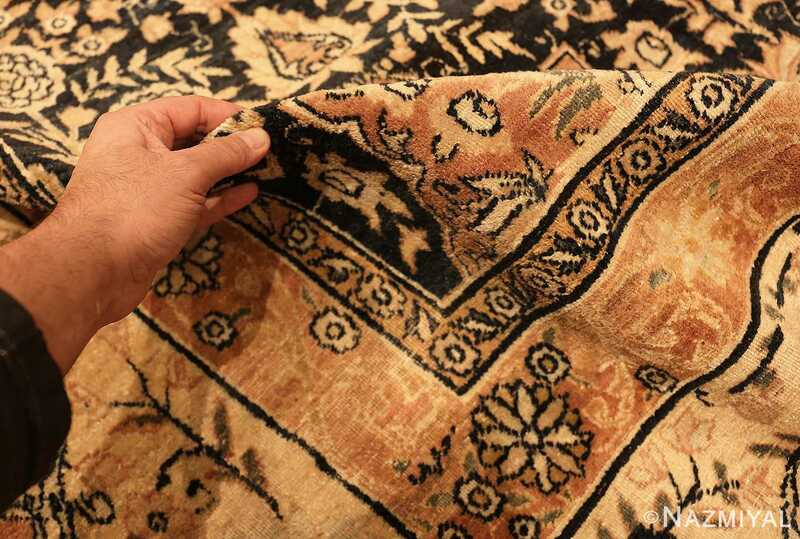 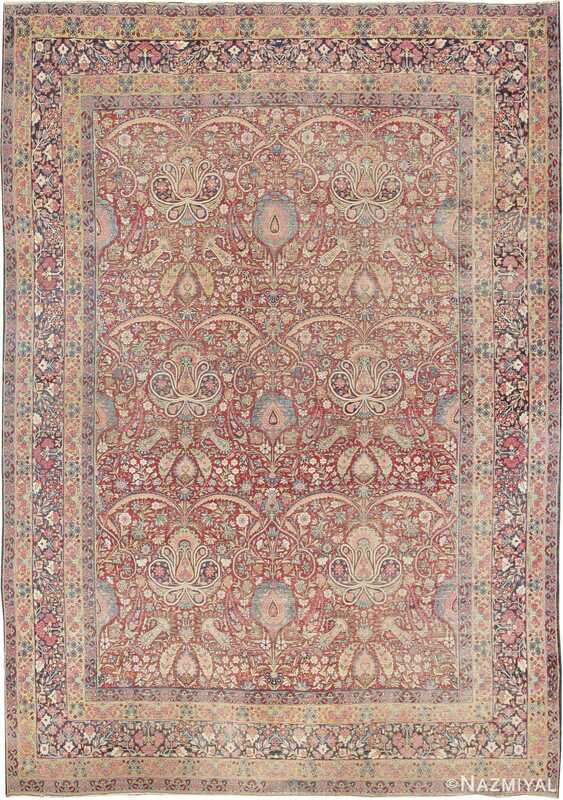 On this stunningly lavish antique Oriental Kerman from Persia classic Persian tradition reigns supreme.